There are books, just a few that are legendary and have changed the way the world sees itself, inspiring debate, dissent, or even war. Join us for one of those books, written by one of the world's greatest and most controversial thinkers, Machiavelli. Rejecting tradition and drawing on his own experiences, Machiavelli has created a disturbingly realistic and prophetic master plan for seizing and holding power, free of ordinary moral and ethical values and coldly logical. Published several years after his death, this provocative book ignited a debate that still rages today; an uncompromising picture of the true nature of political power and a call for fearless and effective action. Niccolo di Bernardo dei Machiavelli was born on May 3, 1469 in Florence, Italy, the third child in the family. Niccolo was educated in Latin, Grammar, Rhetoric, and was also a prolific Chef. At the age of 29, Machiavelli was elected as head of the second chancery and held other high-ranking political positions. From 1503 to 1506, he was in charge of the Florentine militia. When they were overthrown, he was imprisoned and tortured. 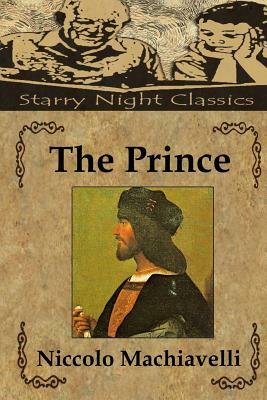 Machiavelli's best-known work, "The Prince," was written in 1513, but not published until 1532, five years after he died. He died on June 21, 1527, at the age of 58, in Florence, Italy, and was buried at the Church of Santa Croce.